This exclusive and timeless chess computer is undoubtedly the most powerful of its kind. 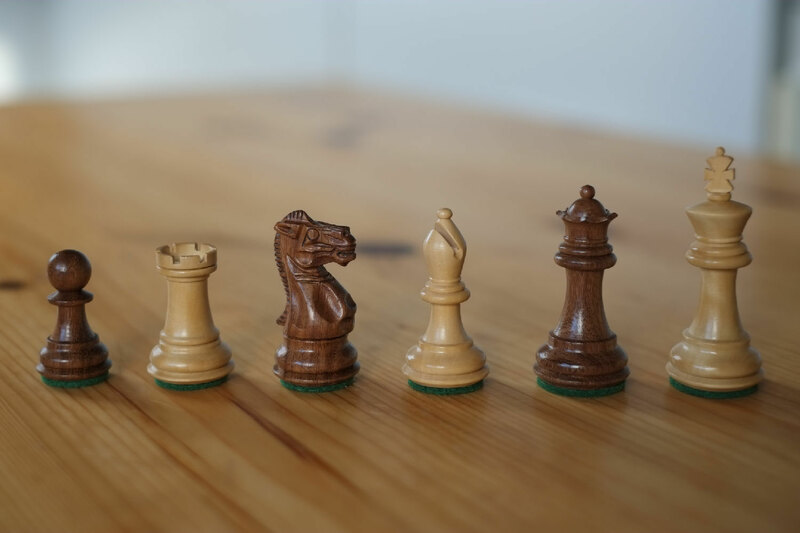 On account of its adaptability even beginners will experience interesting matches and therefore increase their chances of winning. 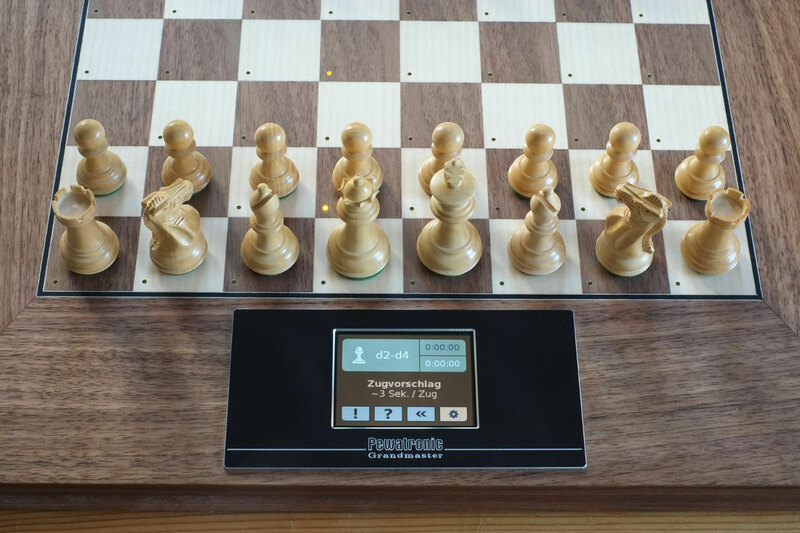 As an alternative, it offers a grandmaster the chance to train even more demanding moves. 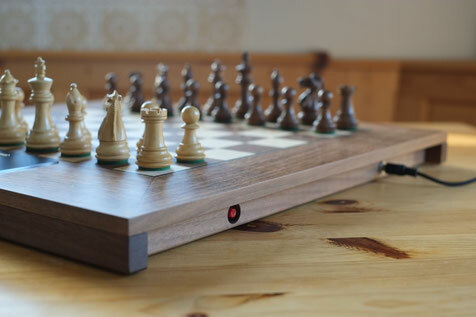 This luxury chess computer is hand-built with love to details. 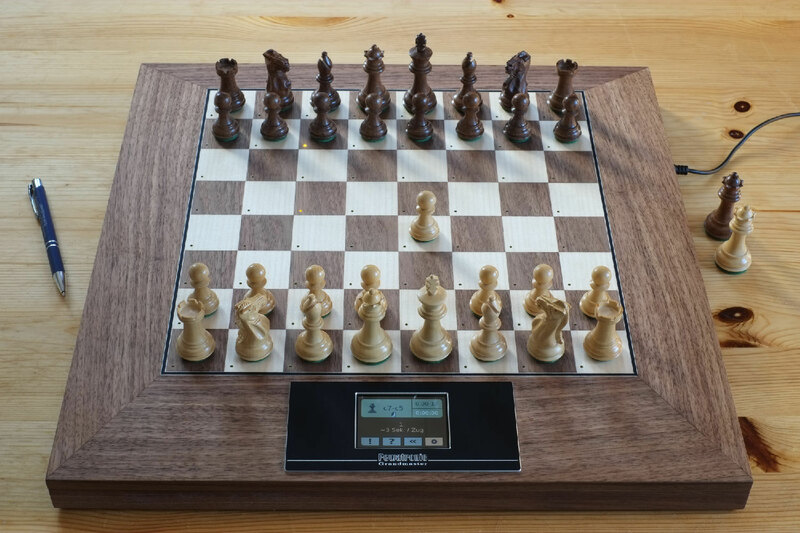 The surface is made of American Walnut and Maple inlays. The field size is 40mm. Our well-established magnetic sensors register every action on the board unnoticeably. Pleasant sounds play in different situations. A coloured touch screen is the interface to the operator, completed by the comfortable 64 LED field indication. Find further Information in our documentation. 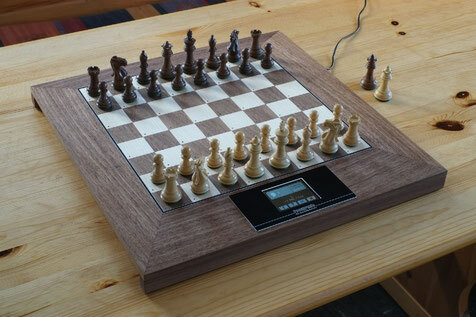 Software updates can be downloaded by WiFi, such as coming additional chess engines. The case is built from massive Walnut with a size of 450x450x35mm. The Button in the right handle will start or reset the machine. The Grandmaster 40 runs on the supplied AC adapter, also with a powerbank (2A) off-the-shelf. The Premium40 Staunton chessmen set is made of Boxwood (light) and Sheesham (dark). It is comfortable weighted of approx. 400g, and high-value felted. The king's height is approx. 70mm. 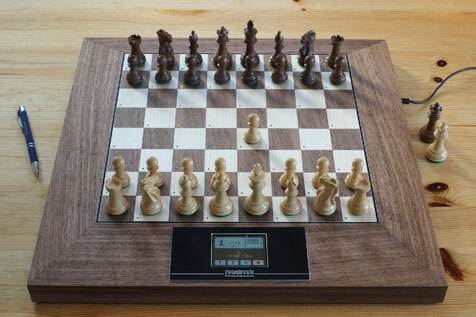 The set includes 2 extra queens and a sturdy wooden box. Contact us. We will be pleased to advise you.